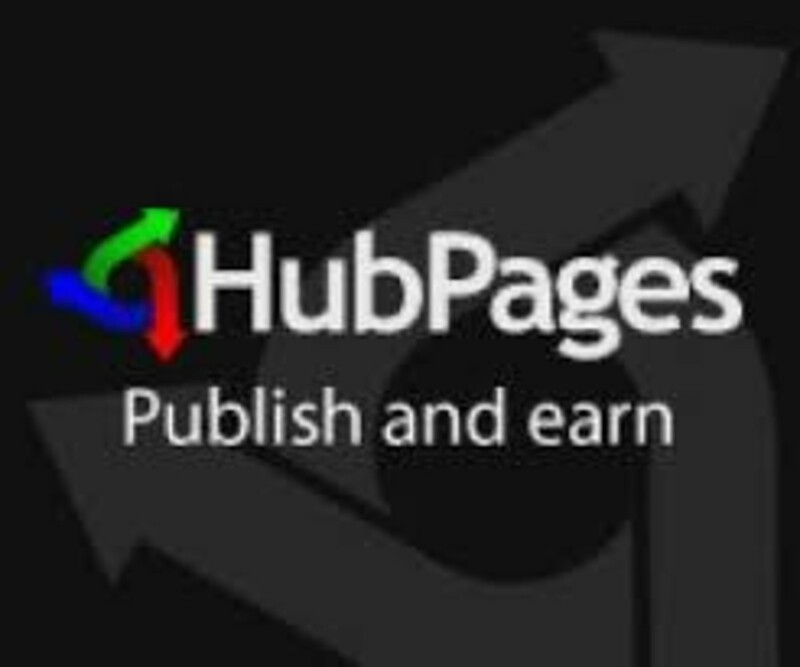 As many of my followers know, I like to help other writers understand the tools and requirements to succeed with publishing on HubPages. These 20 strategies will help you make your articles stand out more professionally on HubPages' Network Niche Sites. Select what you find intriguing from this table of contents, or read each strategy so you don't miss anything important. Is Flipboard Useful for Sharing Articles? The best results are achieved with articles that offer help to queries people search for online. Always keep in mind how well your reader will benefit from your article. While writing, consider if your reader may have gone through a similar experience. Write with a frame of reference that they can relate to. Make it about the reader, not about you. You can mention something about your background in the subject you are discussing. Make it clear why you have "expertise" in that category. This is especially important in the HealDove niche site where Google wants to see specific expertise with the medical conditions discussed in the article. You can create up to 25 individual bios, so make the best use of that. Don't just write one generic bio for all your articles. Write specific ones for each category you cover and place them in the proper articles. Bios can be written in the HubTool when editing hubs. However, its easier to maintain and assign all your bios from one place. Thats can be found by clicking the “About the Author” tab on your Articles page. There is so much competition on the Internet that when people search for information and discover an answer written by a dog, a cat, or a tree, they tend to think it wasn’t written by anyone of authority on the subject. If they can’t show their face they aren't serious. A real name, or at least something that looks like a real name, also makes a better impression. Pen names are fine. Even if you used a meaningless username when you created your HubPages account, you can still add your real name in your profile settings. That will be displayed in your articles. The first image in your hub is used to make a thumbnail for the list of hubs on your profile as well as any other place where your hubs are promoted. If it’s not square then the sides (or top and bottom) will be cut off. It’s cropped to make the thumbnail square. Moreover, if you have placed text in your image, which is useful when pinned in Pinterest, some words may be missing in the thumbnail if the image is not square. Therefore, you should crop your image to make it square so the smaller thumbnails make sense. You can crop images with image editors such as "Paint" on Windows or "Preview" on a Mac. If you do place text on an image that’s not square, a trick you can use is to keep your text within the bounds that won't be cropped off. The sides will be cropped off without cutting into the important text. Do you want to check it now? Open your profile in another window or another tab and check all your thumbnails. If you have any problems, you’ll see why I’m making an issue out of this. Another issue is with images that are too large vertically. You can make the image wide with white space on both sides. The vertical size of the image will be reduced so less scrolling is required by the reader. As long as the image itself is in the middle, HubPages will crop the square portion from the middle to use for the thumbnail. You can take advantage of auto-complete, a feature that both Google and Bing provide when you search. When you start to type anything, it completes it as you type. This actually provides clues to what other people are searching. In addition, Google shows alternative search strings at the bottom of the SERPs. Don't overlook those suggestions when working on creating a title. It will help create good titles that work well with attracting traffic. Go back a few months after publishing to fine-tune your titles. HubPages will show you Search Phrases people have been using. You should look over what people have been typing into search engines when they found your article. This can help improve your title. You can find this information by clicking the "Search Phrases" tab under the “Stats” tab on the hub you want to work on. Then click on the period of time you want to review. When creating your title, make it clearly state what your article is about. In addition, you need to deliver on that and stay focused. Avoid anything that does not relate specifically to what the title indicates. I see some articles where the writer goes off on tangents. I lose interest, not knowing the point he or she is trying to make. Titles should also be limited to around 60 characters, because anything longer gets cut off in the search listings (SERPs). It’s not exactly 60 characters because character width affects what gets truncated. More ‘I’s and less ‘W’s and you might get away with a longer title. Hubs that are dead to the world might be good quality, but just need some tender loving care to bring them to life. On the other hand, you may decide to delete them if they are taking up too much of your time resources with maintenance. I’ve deleted over half my hubs over the years. I like to keep it down to a manageable number so that I can focus on maintenance of those that work well. Some Hubbers have over 1,000 hubs. When I look at some of them, I see things that are totally obsolete with incorrect data due to changes over time. This is a bad reflection on the author. Don’t let this happen to you. This is my opinion. If you’re comfortable maintaining over 1000 hubs, that’s fine, as long as it’s working for you and you have the time to keep them all up to date with content modifications and technical changes. Comments that are not related to the subject are not helpful from an SEO standpoint. Sometimes people get into a discussion and go off on tangents. I go along with it when appropriate, responding to personal comments as a courtesy, but then later I delete them after having been read by the specific person for whom it was meant. Keep in mind that if a comment doesn't serve a purpose for the general public, and add value to the actual subject matter, then it should not be included. Google will consider unrelated content low quality. This goes for things like "nice hub" comments too. Did you know you have a filter on your comments page? You can use it to see comments that are tagged as spam or low quality. Low-quality comments can negatively affect your Google ranking. These are comments that don’t add value. It’s nice to have someone say “nice hub” but these things don’t add value to the subject. Most of the time people who just say two words are really doing it for their own recognition, in my opinion. Otherwise they would say something that shows they actually read the article—and add something meaningful to the conversation. You need to be diligent with moderating your comments and removing anything that is low quality. Go to your global comment moderation page and change the filter to "Low Quality." You can delete them permanently or approve them if you think they are okay. While you’re moderating comments, delete any spam, such as self-promotional links. HubPages automatically hides most spam in your spam filter but some of it gets through. If you're using your own images, you don't ned to be concerned about this. But if you use images found elsewhere, you need to be careful with the license. I see many people overlook the fact that our articles are commercial. That's because they generate revenue. Many free image sites allow use for non-commercial content only. CC is Creative Commons and the zero after the CC means “No Rights Reserved” so you are totally free to use the image in any way you wish without attribution, even commercially. Pixabay is my preferred source for Creative Commons Public Domain images that can be used commercially. Another Creative Commons license that allows images to be used in our hubs is “Attribution-ShareAlike 2.0 Generic (CC BY-SA 2.0)” This can be used commercially, but needs attribution. If you use a lot of images, you need to be aware of their size and how it may affect page load speed. It’s possible that Google lowers ranking if pages load slowly. When I take pictures with my camera to use in my articles, I change the setting to a lower quality since I’m not intending to use the images for print. Even then, I usually reduce the size even further before uploading to HubPages. Try to keep your images under 100 KB and no larger than 700 pixels width. They are reduced to 520 pixels anyway. When reducing the size of images, make sure you maintain the quality. Images on HubPages should not become pixilated or they will not pass the QAP. They must be clear and not appear fuzzy, especially if a reader clicks to view the full-size original. When I find images on Pixabay, I download the smallest version (with a 640-pixel width). That’s all we need for web-based usage. I still see hubs where people use poor English. I thought the Quality Assessment Process (QAP) was meant to catch these. Wrong: Your not doing it right. Correct: You're not doing it right. Wrong: Try and do this the right way. Correct: Try to do this the right way. Wrong: That use to be the way to go. Correct: That used to be the way to go. Wrong: You might of disabled your settings. Correct: You might have disabled your settings. Wrong: What is the furthest you’ve traveled? Correct: What is the farthest you’ve traveled? Wrong: Do you want to go to the concert with Phyllis and I? Correct: Do you want to go to the concert with Phyllis and me? That last one deserves an extra comment. Just because people think they sound intelligent by using "I" insert of "me" doesn't mean that it's correct in all cases. A good test is to say each item alone. If it sounds silly, you know it's wrong. — "Do you want to go to the concert with I?" — See what I mean? If you’re serious about getting your grammar right with your content, I recommend a book that I keep by my side and refer to whenever I’m not sure about something. The book is " The Perfect English Grammar Workbook" by Lisa McLendon. Every so often I give each of my hubs a routine checkup. This is what you should do too. Check each of the sub-tabs under the “Stats tab” at the top of your hubs. Under “Overview” you will see several useful items. I find incoming links and view duration useful. These are represented with 1 to 5 stars. The more stars you have, the more incoming links were found from other sources, or the longer people have been reading through the entire article. “View duration” will show you if you are losing people too quick. You might be starting with something that’s not meaningful with what the title had suggested. “Referrers” lists all the traffic sources. Make sure your major traffic is from search engines. Organic traffic can be perpetual, but traffic from social media leads may have a limited success. “Search Terms” shows what people are entering into various search engines. This information is vital to helping you make productive changes. You probably already know that Google Webmaster Tools no longer works for HubPages since we no longer have individual sub domains, but Google Analytics works great, and it gives us all the information we need. Google Analytics even works across all network niche sites, so all data is tracked. It’s important to monitor your analytics reports to know what’s going on with your traffic. I examine my reports to see how long people stay on the page reading my hubs. If they click away quickly, I examine my hub to see what's wrong. I also compare organic traffic to traffic from other sources. You want to be sure your traffic is coming from organic search. When I find that this is not the case, I review problems I might have with the title and summary. Those are the first things people see in search. Track the behavior flow of my readers (flow from one hub to the next). See how long people stay reading each hub. Track the source of traffic and the demographics of readers. See how many people come back for more vs. how many are new readers. See what types of devices people use to read my hubs (desktop, mobile, tablet). Watch people reading my hubs in real-time view. It’s cool when I see several people reading the same hub simultaneously. That means a lot. You may have noticed that Google has a new feature that displays instant answers in the SERPs when searching for information. These are called Featured Snippets. Don’t confuse this with Rich Snippets Structured Data, which is totally different. Get right into answering the question suggested by your title. People look for instant answers and Google will take notice and might use your content for a Featured Snippet. Use meaningful subtitles on text capsules that clearly communicate the subject of the content in that capsule. Use bulleted lists where appropriate, with subtitles for the list. Use table capsules where appropriate, and remember using a subtitle. Don’t use callout capsules for subtitles. Callout capsules should only be used for attracting attention to a noteworthy statement. When you place a subtitle in a text capsule, or any other type capsule, it is directly tied to the content of that capsule. Google can combine that data together when formatting Featured Snippets. If you place a subtitle in a separate capsule, such as a callout capsule, then Google does not have the ability to combine the elements together. One of the reasons that we are moving back to using subtitles rather than callouts as headings is so that articles can show up as featured snippets. Callouts don't work great in this capacity. I place a few random sentences from my hubs into Google Alerts3 so they will notify me when a copy is found. Make an alert for each title and for one or two sentences taken from the content. It's a long drawn out process, but once you do it, it’s done. Just remember to do it for each new article that you publish. If it’s too much work and you don’t feel it’s worth doing, then just do it for your hubs that get the most traffic. One of my hubs gets Amazon sales almost every day. 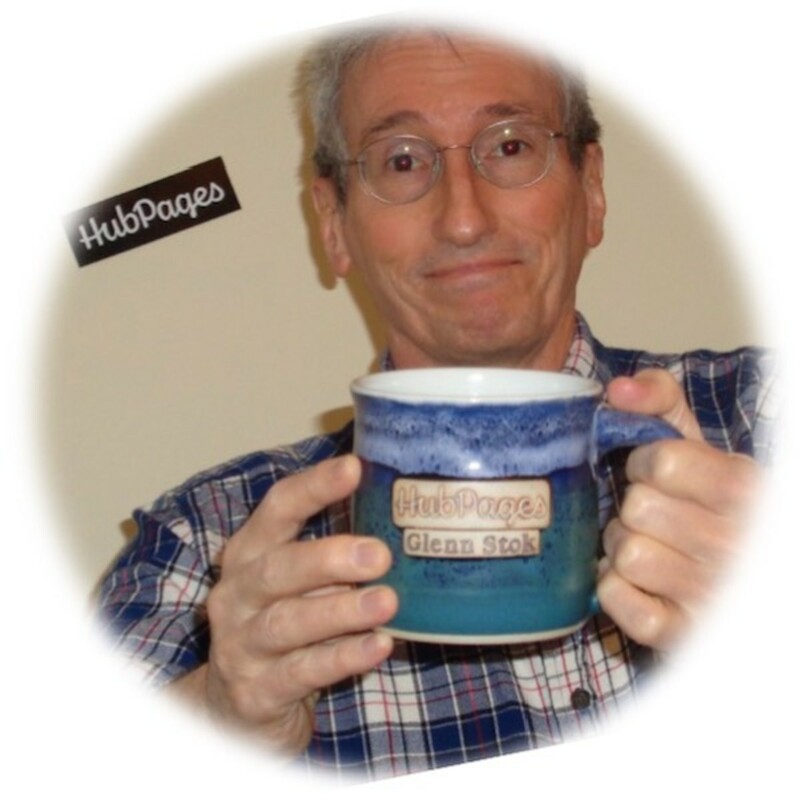 HubPages has moved several of my Amazon monetized hubs to niche sites. One hub that they moved even has five Amazon capsules and none were snipped from that hub. Amazon capsules need to be 100% related to the subject of the hub. This applies to in-text Amazon links too. It helps to be a user of the product and show authority of knowing it from first-hand experience. At the least, you must display knowledge of the product. Describe your experience with the product and place that text in the Amazon capsule. The Buy Now button will automatically fall below that text. I feel this provides a better user experience because you’re not pushing a “buy” button in their face. Placing the button under the description works better since it’s like having a “call to action” in the right place. Avoid spammy ads. If you just add ads, hoping people will buy something, you will upset you readers. Use Amazon to provide value to the reader rather than hoping to make money. Think in terms of the reader. Can you honestly determine if you would order the item? If in doubt, don't include it. HubPages does not have a feature to justify text in a text capsule. However, if you want to center or right-justify your text, here’s a workaround trick that I use. This is a Table Capsule showing left, right, and center justification. If you publish recipes, make good use of the recipe template in the HubTool. It’s important to use all the required recipe capsules. Rather than just putting your instructions in a text capsule, using the instructions capsule will improve the likelihood of getting your hub listed in a Google Featured Snippet (see tip# 14). Providing the nutritional information will also increase Google’s ranking of your recipe. When I publish recipe hubs, I create an Excel Spreadsheet to add up all the nutritional information of all the ingredients. Most ingredients have the information on the label. When I can’t find the info I need, I search Google for "Nutritional Facts" and the name of the item. 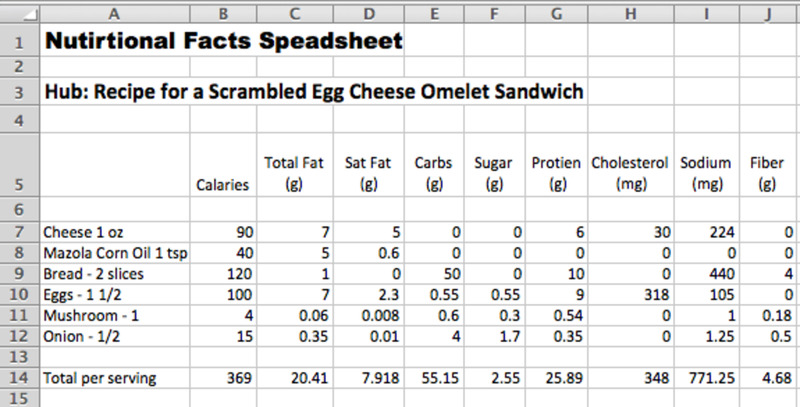 Excel makes it easy to adjust for the serving size. 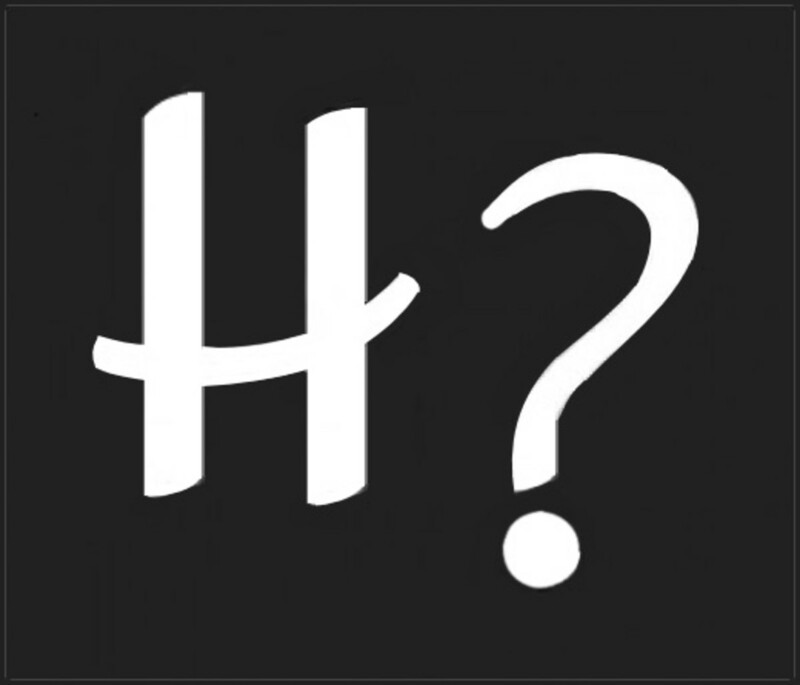 HubPages now supports animated GIFs in hubs, but this can be very distracting to readers. I suggest you refrain from using this feature unless you have a very good reason for it. A short animation that adds value to the content may be useful, but adding one just for the sake of having something in motion should be avoided, in my opinion. 20. Is Flipboard Useful for Sharing Articles? Flipboard is a platform where you can create groups called magazines and list your articles to those specific magazines. Listing articles is known as flipping. Flipping used to help bring additional traffic, but for some reason that had died down. HubPages actually had a social sharing flip button once, but removed it because it was an extra overhead to the server, and few people used it anyway. In early 2018, flipped articles were credited to the wrong author and I removed most of my flips for that reason. They fixed that bug, but I'm weary of the site now. I wrote a detailed article about using Flipboard in case you want to give it a try. You can find it in my profile listing under "HubPages Tutorials and Community." How Helpful Was This Hub? Did you learn anything new here? Yes, I learned a lot of useful tricks. Thank you. I was surprised to discover things I should have known. There were just a few things I didn't know. I knew all of this. But it was a good review. Thanks to everyone who voted for me as “Most Helpful Hubber“ in 2017. 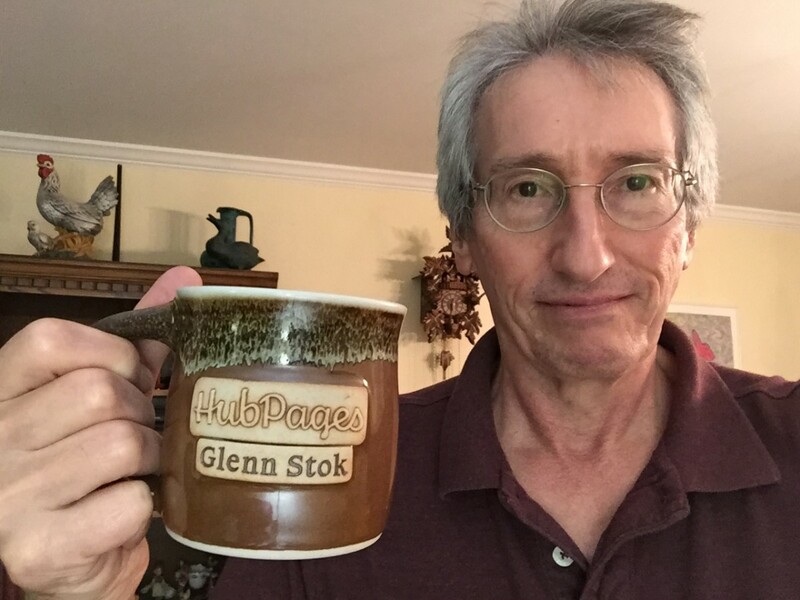 This is the second award mug I’ve received from HubPages. Me with my 2017 award mug for being elected as the most helpful Hubber. Thank you! Dina - Welcome to HubPages. I never realized it, but my methods could be useful for other writers to know. So I appreciate your questions. I find it easier to write only about subjects I know. I do a lot of reading and studying topics I’m interested in. So this gives me the background to write without having to do much research for any one particular article. The research already had been done, in essence. I usually save notes with references to source material when I feel it’s important to be able to review later. So when I write about something I’m not totally familiar with, such as a health condition I’ve experienced, I can go back and confirm my statements I’m making, and I can even include those references as needed in my articles. I never write about things I don’t know or don’t understand. And I can assure you there are many topics that fall into that category. LOL. It would either take too much research to get it right, or would just end up being of no value to the reader anyway. You can make things easier as a reading experience just by writing as if you are talking with your reader in a personal one-on-one conversation. That’s what I do. It helps make the content flow. I proof read many times, and each time I’m always finding something else to fix or change or improve. 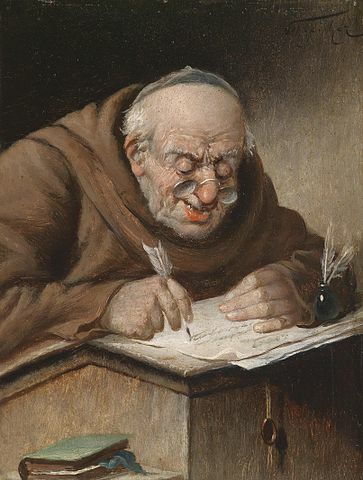 Even after I publish, months later I go back and proof read again. Many times I make adjustments to the content when I realize I could have said something clearer. It never ends. I put more time into old articles than I spend writing new ones. But it pays off. I see that, because I keep track of all changes I make (title changes, summary changes content improvements) along with the present stats. I save that data so I can review it later to see what changes worked. Glenn, this was informative, relatable, and surprisingly not overwhelming to read. I have been a hub-writer for a little under a year and, man, I have such a long way to go. But, I definitely found your article motivating as well. What's your process like, if you don't mind me asking? Like, do you pick topics you already have a bit of a history with to establish credibility? Or, do you ever write about things you don't know much about and then do research? My biggest qualm is that I go a bit too heavy with the research, perhaps? And, I am trying to work on make things easier as far as reading experiences go. I am giving you a follow, Glenn. I am looking forward to reading more of your hub articles and just being floored by the ease in your writing. A very helpful and informative article...thanks! Thank you John. You can get to the Comment moderation page by clicking “My Account” and then the “Comments” tab. While there it’s also useful to check your spam folder. I find sometimes good comments fall into there by accident. The tabs for global control of the Q&A and Author Bios are also tabs under “My Account” that make control of these features very easy. This is a very helpful article, Glenn. Congrats on the Hubby award too. Can you tell me where is the "Global comment moderation page" found? Thelma, In addition to monitoring traffic, I also like to watch people reading my articles in “real time view” on Google Analytics. It’s cool watching how many people are reading simultaneously. These are useful tips Glenn. I have not viewed my traffic status for a while. Thanks for reminding me. Have a great weekend! Poppy, View Duration is represented by 1 to 5 asterisks in HubPages' stats on each hub. But you can see actual length in minutes and seconds in you Google Analytics report. The first photo had me giggling! What a great picture. I like what you said about checking Google for popular phrases. I usually use UberSuggest for SEO clues before writing an article. I had no idea you could check duration and things like that! And I thought I was doing quite well with HubPages. For shame. Thank you for that. These are very useful tips and I'll be coming back to this article in the future. I need to review my own tips from time to time, Nell. I forget them too sometimes. Thanks for the awesome comment! You say useful tips, no. They were awesome tips! lol! and so many that I had forgotten. And thanks by the way for the blue writing answer. Sometimes I have a brain fry so to speak! lol! Sunil Kumar Kenneth - I see a number of reasons why you are having trouble. • You're not using proper capitalization on subtitles. • You're using Amazon capsules without content in them. • You're not saying why you are showing those ads. • You need to have used the product yourself and prove that. • You have no author bio on your hubs. • You're following people you are not really reading. • Your titles are not attracting organic traffic (that's where the money is). See my other tutorials for more help with HubPages. Also study how to write a stellar article in the learning center. Good luck. You can do it if you put your attention to it. I had a rich past with HP once. But now all lost like traffic, followers, comments and earnings too. My more than 100 hundred hubs too getting defeatured everyday. I lost hope and stopped writing. Thank you for your wonderful post which gives me a new level of energy. Lovelli Fuad - There are a lot of apps you can use to make animated GIF's, both for smartphones and desktops. Just make sure you install only approved apps. Don't use unknown third-party apps to avoid malware. Donna, It didn’t take because this is on a niche site. You have to log into each niche site when you leave a comment, otherwise you are thought to be an outsider. Ok, here I am. Don't know why it did not take the first time. Thanks for noticing. Kristine Manley - Great, but I don’t see your image on your comment. Oh, you didn’t log in, that’s why. Steven Mortensen - Welcome to HubPages. I see you’re off to a great start with a hub already on a niche site. very informative and helpful idea...thanks for sharing! Thank you Glenn for these helpful tips. Great ideas that help hubbers like me and other hubbers, too. Using different email addresses seems like a brilliant idea. Why didn't I think of it myself. Anita, I have the same problem. I use individual email addresses for different things. That helps keep things organized. If you have friends abusing your time, let them have a different email that you only read when all caught up with business. If your talking about spam filling up your inbox, then maybe its time to change your mail address. Never reply to spam and never ask them to stop -- that only lets them know you are a live person and they will sell you email to other spammers. Glenn you have been so helpful with my analytics problems. I have another problem and wondered if you could give me some advice. My email inbox is a source of constant frustration. Emails come flying into it daily. I would need two permanent helpers to keep this monster up to date. I have hundreds of emails I have not read. As I am a responsible person, this is a disgrace. Most of the emails are important to me as a writer because you need to keep up with social media etc. Thank you, Glenn, for this wonderful tip. Using a blank template and pasting my images on it. It is a good idea. I will do that. Thanks a lot. Make a square white template that you can use when needed. Then copy and paste the virtical one into that template. That will make the entire image appear in the thumbnail. You can also get away with a compromise if you know what you’re doing. You can use a horizontal template and paste it into that. As long as the image is centered in that template, it will fully appear in the thumbnail. Okay, Glenn. I will try to make it square. But the shape of it is like that. You can't make a man or woman appear square and appealing at the same time. It is not covering the whole width of the capsule. I do not know how to add some borders or color to the blank space to make it full-width. Venkatachari - The whole idea behind my suggestion is to keep the image from missing important sections in the thumbnail on your profile. I looked at your profile and I see you don’t have any text on your images, so losing cropped parts isn’t really a problem for you. People who add text to their first image for Pinterest advantage may have some of the important text cut off if they are not careful. I see that all over HubPages. As for your virtical image of the Saint, I see how her head is cut off on the thumbnail in your profile. You can fix that by cropping the image properly within a square form. Glenn, I got one doubt. You informed to place the square image as a first photo. I hope, by square you mean one which is not a vertical image. Because, nowadays, all images are good if they are wide and of shorter height. That is a rectangular one covering the full width of the article. I keep all my photos to be larger in their width and shorter in their height. But, I have one photo which I could not change in my article on a South Indian Saint who married God as I couldn't find an alternative. So much to learn Glenn. Thanks for the info. Liis Windischmann - Thanks for the feedback. I have several hubs with more tips for Hubbers. Glad you found this one useful. Solid tips Glenn! Great advice and happy to read your piece today. Thanks so much for sharing this super helpful info. Will be delving into more of your work here. Have a wonderful week! Anita - You need to create a separate Tracking Id (UA#) for each property. Otherwise your Analytics will be all messed up. Click ADMN in the lower left corner of your Google Analytics. Then under the property column click "Create new property". Add one of your blog URLs and then copy and paste the new UA# into your blog's settings. Do the same for each of you five blogs. Hi , your instructions for adding hubs to AdSense via the URL channels was easy to follow. I have unfortunately added the same analytics property ID no UA... To all my 5 blogs and hubpages. I need to change my blogs property ID's and to disconnect my blogs from hubpages. On my blogs analytics page it says Anita Hasch Hubpages. Thank you again for such interesting and useful hubs Glenn. Glenn, I found the hub. It’s fascinating how much I have to learn and I am learning through hubs like yours. Thanks for sharing. Very informative article. I’m going back to 18 and following link as I have no idea what flipboards are. Thanks for writing this hub. Thanks for the feedback Suzanne. I actually do have another hub with more tips: "21 Hub-Writing Success Strategies"
I think this is a very useful hub and will be bookmarking it for future use. I must say, I am very slack when it comes to keeping my obscure hubs updated, but I have noticed improvements in ranking when I have done so. Keep up the useful tricks and tips! This is is certainly one of the good hubs I've read on how to use HubPages correctly. Very nice and useful suggestions. 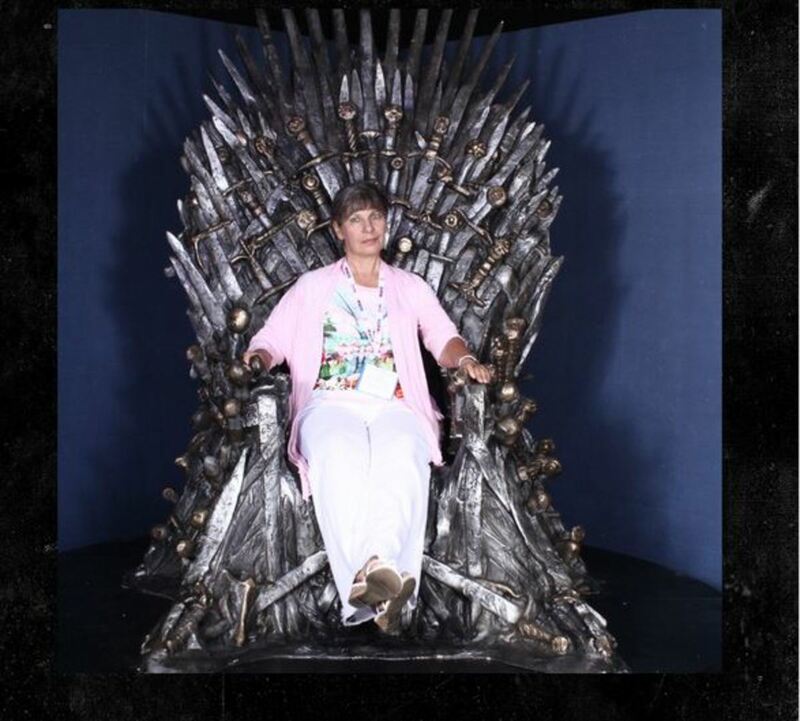 Carolyn Dahl - I see some people complaining in the forums that they need to constantly make changes to their hubs, but you have the right attitude. It actually pays off well to keep them fresh for your readers, as you said. I had forgotten how helpful these articles are so thank you for taking the time to post this article. Over the years I have gotten a little lazy so your article smartened me up and made me pay attention to the smallest of details which I overlooked. I have found that staying on top of my articles and going over them now and then with a fine tooth comb so to speak, really helps keep them fresh and enjoyable to my readers. Very useful information in an elaborate manner. 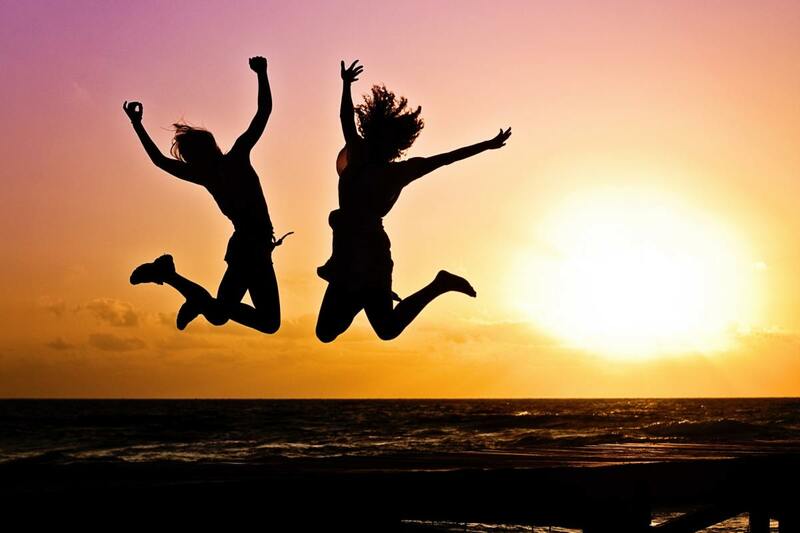 You have covered all the important points needed for writers to succeed in their career. This was very useful to me being new Hubpages! I will be using it to format my capsules better, as well as my bylines (author bios). Thanks for writing this! Thank you Alexandra. That is a very nice affirmation of my efforts. I appreciate your wonderful feedback. Welcome to HubPages. I see you’re off to a great start! Your first two hubs have already been chosen for a niche site. That goes to show that you’ve done your due diligence and that you know what you’re doing. I'm relatively new to HP and appreciate this piece. I don't have Google Analytics yet, but I'm trying to prepare for when that day comes, and reading about how you use the service was helpful. I also like your authorial voice--you're supportive and positive, but you're not a Pollyanna who just tells people what they want to hear. Glad you're putting my 20 strategies to good use with your hubs Margaret. That makes my work writing this all worthwhile. Glenn, thank you for such wonderfully useful, actionable and clearly explained tips. I'm off to bookmark this, since I know I'll want to refer back to it often. So much to consider in this article. I to have been around and still feel like a beginner when it comes to Hub. This article gives me a homework list that I need to get to ASAP. Thank you for breaking things down into these pointers. Again very helpful. Marie, I noticed you don't have any hubs in niche sites yet. Hubs left on the main site hardly get any traffic anyway. I would focus your first attention towards getting your hubs moved to the appropriate vertical niche sites. Take it one at a time by going through all my suggestions in this article and my other article on the subject, fixing your titles (see below), and making it mobile friendly (I explain that in another hub also). Then submit it to the niche site that it belongs in by clicking the "submit to niche" button at the top of your hub. As for titles: Most of your titles need to be fixed to use proper "title capitalization" rules. Do a Google search on that term if you don't know what it means. Once you complete all that with one hub, go on to the next. You can submit to niche sites once every 14 days. Please report back to me here on your progress and how your traffic is picking up once you have hubs on the niche sites. Good article, Glenn. Thank you. I'm going to start slowly implementing your advice but am feeling a little overwhelmed and don't know where to start. I wonder if you could advise me as to which few points you mention would be the most useful to start with. I would be very grateful for that. Great news Glenn! My Top Leafy Vegetables hub have been moved to Calorie Bee. They just shortened my title for readability. Yeah! I can do the same for Middle and Last real soon. Still no critiques for Pilates Benefits hub from my online critique list. So feel free to give me suggestions. HI Glenn. I received no feedback from my online crit list on my Pilates benefit hub in the past week so far. So please feel free to make any suggestions if you like, before I send it over to Calorie Bee this weekend. And still no word on my Top Leafy Vegetable hub from HP either--so I'll email Taylor and HP on Friday to let them know on the delay. I hope to finish my Expressive Writing revision by Labor Day Weekend (and send it to my online crit list next week) and also include the revised link to you as well, when I'm done. No word from my online crit list, Glenn. So feel free to take a peek for me this week. No word yet from HP on my top leafy green veggies so far. Maybe, Glenn, I hear from them in a week, due to grammar and formatting issues. I did for Top Leafy Green Vegetables, and double-checked for Pilates Benefits via Grammarly. I did fix the titles for SEO search though. Nothing yet from my crit list. I'll work on Write Expressively next week and get back to you on it before I submit a week from today. Kristen, Maybe they put it on the back burner because they saw the same issues you had before. I just submitted a hub for HealDove yesterday and they already moved it. I can see that hubs get moved quick if they don't have much work to do with it. I didn't look at your latest one yet, but can you confirm that you covered all the issues I suggested before? Let's see what your other critical helpers say. HI Glenn. It's been a week since I submitted my Top Leafy Green Vegetables to Calorie Bee, and no word yet. Taylor had finished editing my Arizona hub as it had been finally removed to Wander Wisdom this weekend. If you have some free time to look over my Pilates Benefits hub this weekend or next week, I would appreciate it. I hope to send it out to Calorie Bee next week. I've proofread it and fixed formatted and send it to my online crit list for feedback (nothing yet). So any pointers you have for me would be great. I'll be working on my Writing Expressively hub next week and send it to my online crit list next week to send to Letter Pile in November. I hope to try to start flipping my hubs and write new ones, while revising old ones for niches. Thank you. I've been away so long I hardly know what to do here anymore to update hubs. I see a lot has changed and I've a lot to catch up on. Glenn, I've nudged HP on Thursday and heard back from Taylor on Thursday night on my Arizona article. Now I've gotten a notice that my article has been selected for HubPro Basic editing. That's good news though since I've made most of the changes to go to Wander Wisdom. Just wanted you to know. Now I can submit to a new hub. Kristen, That main title is good, especially now that you changed the hub to relate more clearly to a winter visit with a focus on helping the reader rather than just taking about your family trip from a personal standpoint. That latter would not be of interest to people searching for information. I was trying to give you pointers on improving the subtitles. Not the title. I think you still need to work on those. Think in terms of what people search for. You want to consider SEO when dealing with subtitles too. I responded to your copy of the email from HubPages in the other hub. You suddenly switched, so I think you may have missed part of our communication. Kristen, I never said you don't need the table. I said it does not work well on mobile with so many columns. What was the point of moving it to another hub? Not you have the same problem there! I asked you twice if you ever checked it on mobile preview. You never answered me. If you do that you will underdstand the problem. As for the title, making them shorter is not necessarily the best solution. I don't know where you got that idea. I was taking about considering what people search for. By the way, for those who are following this thread, Kristen switched from where the discussion began on my other tutorial hub—in case you're looking for the response I gave at the start. Glenn, I've deleted the table capsule. By the way, HP wanted me to change my title to Visiting the Grand Canyon in Winter back in January. I've shared you their email back last week. And that's what I did for SEO traffic. Glenn, I removed the table and moved it over to another hub, since you said I didn't need it. I did change the subtitles for SEO traffic. I made them shorter, even for the photos. Now I'm confused. Thank you Glenn. I copied and pasted, the section on adding bio to hubs from your hub. Now I can refer to it all the time. I looked at the Grand Canyon hub again. It's better. But you need to watch your grammar. I noticed a couple of errors. You also switch between past tense and present tense. You should remain consistent. You didn't fix the table. Did you examine how it looks on mobile? You didn't change the subtitles as I suggested to attract search traffic. That's where the power of getting organic traffic lies—in the title and subtitles. I'm not going to look at your other hub, no time. You need to get this one done first anyway. You can check my Top Leafy Green Vegetable hub that I just fixed right now. I hope to send it to Calorie Bee tomorrow or Friday after I hear back from you. Hi Glenn. It's been two weeks and now word from HP yet on my article. I did work on your suggestions and fixed my travelogue article. I want mine to be similar to Bill D.'s France/Italy travelogues. So let me know if this is better. I'm thinking of emailing HP on the status tomorrow. I also working on my Top Leafy Greens and fixed formatting as I've gotten feedback from my online crit list yesterday. Feel free to check it out tomorrow after I tweak it. I'll be reworking on the Expressively Writing hub next week and my Benefits for Pilates hub as well. Anita, I show how to add your bio to your hubs in my other hub: "12 Overlooked Writing Techniques for Successful Hubs"
Thanks again for the tips. I need to improve my old hubs. We were also taught to never start a sentence with, but or and. However, I then noticed that some of the best sellers writing fiction were doing it. I now do it as well as I feel that it lets the story flow. Thanks Glenn for very useful info. I still have to read up on how to include a bio on each hub. Krzysztof Willman - I do the same thing as you. I use callout capsules to make important statements visually stand out, but then I also include subtitles with the text capsules when I want Google to make a relationship between the title and the content of the capsule. So what you're doing is fine. Leave it alone. Callout capsules are still useful for the way you are using them, as long as you realize that Google doesn't connect them with the following text capsule content. Plenty of great information, I'll have to bookmark this hub. My only question relates to the call-out capsules, I usually have a call out capsule addressing a topic, then an image or video, and finally a text capsule with a subtitle in it. Should I remove the call-out capsules all together and just have the pics and text capsules? Sunil - Yes it's true that hubs still remaining on HubPages' main site are not getting much organic traffic any longer. You need to put more effort into getting your hubs moved to the vertical niche sites. 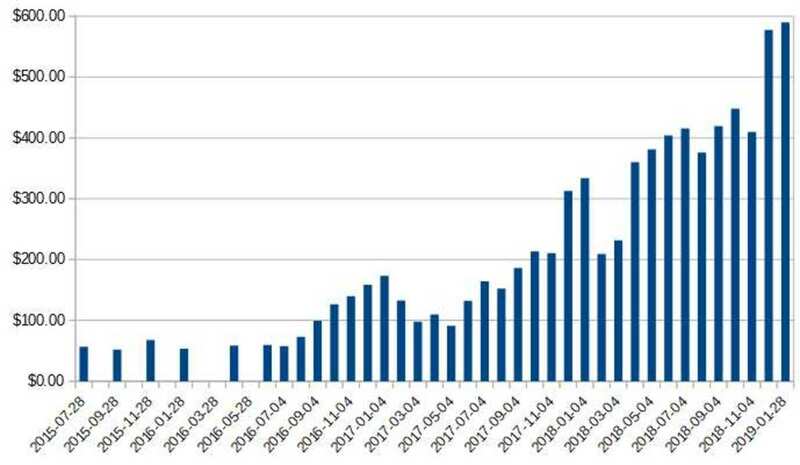 That's were the traffic is doing well. Very informative and helpful post. I will follow these tips seriously to improve my writing and design of hubs. Still, I am a little bit disappointed for the fact that nowadays, the traffic and earning from HP is very disappointing. Hope you will write more hubs to help the fellow writers. Keep on writing. All the best. Welcome to HubPages Tomi. It's good that you are researching what needs to be done for successful writing. There are many writers on HubPages who offer helpful tips. You will notice who they are as you continue to peruse the forums. I also have another hub with "12 Overlooked Writing Techniques" for hubs. This article was packed with so many good tips on writing articles. It's so obvious that you are so knowledgeable and successful at writing. I have written down some of your tips such as: referrers, search terms, and being mobile friendly, which I will have to read your other article on that too, at some point. I found your trick about justifying text capsule by using a table capsule interesting too. Thank you for writing such a well thought out article. It will really come in handy. Very helpful tips... Thanks for sharing! Glennn, I've heard back from Karla at HP. She said no reason why my blackout hub was passed. But she told me, my Arizona hub is still in the long editing queue--and told me to resubmit it after I fix grammar and formatting. I did fix grammar back in January with a friend and Grammarly. So I'll resub this hub next month in place of another. Okay Glenn. I've looked at Owlcation's editorial policy last week and HowTheyPlay's too. But it's mainly commentary for HTP. I would have to try to figure it out this summer and just let it stay on HP as is. I hope you're right about the poetry though. But it couldn't hurt to try. Kristen, As I mentioned previously, that hub of yours discusses game playing, which is why it fits better in HowTheyPlay. Owlcation, on the other hand, has a strict Editorial Policy that doesn't match the focus you have on games. As for poetry, I have two poem hubs that were both selected and moved to Letterpile, but I'm finding that poems don't do as well as other subjects. I don't want to discourage you though. Go for it. Glenn, no word from HP on why they thought my blackout hub was a better fit for HowTheyPlay than Owlcation yet. So I don't know how to make it a good fit by adding commentary to one hub capsule that mentions playing games with the family and nothing else. We'll see how my sunset poetry does with Letterpile this week and my revamped Expressively writing hub does in 2 weeks. I bookmarked this hub so I can refer to it when I'm creating or updating a hub. Okay Glenn. I'll work on both articles (this one and Expressively writing) this month and have it ready for fall., Thanks for the tips. I'll try my blackout in two weeks and maybe start flipping hubs this weekend. Kristen, Why wait till August. Any fixes you apply now will increase its ranking and being more organic traffic. If you wait, Google will continue to reduce the ranking. For example, that section where you mention February being the important month takes away from Google ranking your hub any other month of the year. Waiting to remove that will continue to hurt your traffic. Then if you try to submit to a niche in August, the poor traffic will reflect badly on any possibility of getting accepted. I suggest you never limit a hub to get traffic in only one specific month. Grammarly doesn't catch everything, such as the items I pointed out. Word doesn't catch everything either, but it catches some things Grammarly doesn't. Per your last comment, helping you online allows others to benefit from the discussion also. Glenn, I did it through Grammarly app and tweaked it two days ago. I've made some changes. I had one Amazon capsule and removed one, since I couldn't find the item on Amazon. Thanks for the tips. I'll work on this in August and see what happens this fall. I wish I can email you for outside help. • You have no content in your Amazon capsule. This is where you should discuss your experience with the product. This will display your authority on the item. • Remove the reference to February since that limits the hub to one month a year. • You have some run-on sentences. Divide your sentences into individual thoughts. In some cases you have a lot of commas where you could have had periods and had started a new sentence. Doing so makes it read better – with improved comprehension. Readers appreciate that and will keep reading. If they get lost due to run-on sentences, they tend to drop out and Google detects a short view duration – lowering your ranking. * You also have a sentence that ends abruptly as if you chopped off the ending. See your description of the American Heart Association and fix that. You can even shorten it since it takes away from the focus. * Remove wordiness that adds no value to the content. People want quick results when reading on the Internet. * Don’t start sentences with “So.” Many times you can just remove that word. Try it and you’ll see what I mean. If you have MS Word, run it though the Grammar/spell check. That’s what I do and it catches a lot of issues before I publish. I hope you accept this for what it’s worth. Just trying to help. Let me know how it goes. HI Glenn. My Healthy Meals hub was declined from Carolie Bee after I proofread it and made sure it was mobile-friendly. :-( I'll try this hub again this fall. I hope you make good use of the suggestions Amelia.